Reviews of video game related television shows, movies, books, and soundtracks. Plus, reviews of downloadable content, our Half-Hour Handheld featurette, and video reviews. 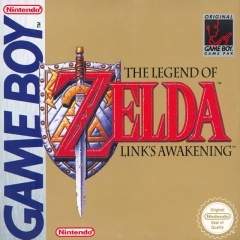 My favorite game is—and most likely will always be—The Legend of Zelda: A Link to the Past. It's a videogame that raised me, coddled me through the early years, showed me the potential games held, and reminded me that there's still good in this world. And strangely, there's never been anything quite like it since its debut way back in November 1992. I guess some games do come close: 3D Dot Game Heroes, Alundra, Beyond Oasis, and Dragon Quest Heroes: Rocket Slime. Not surprisingly, nobody does Zelda quite like Nintendo. If there’s anything we’ve learned from science fiction, it is that artificial intelligence cannot be trusted. Isaac Asimov’s 1950 collection of short stories, I, Robot, was all about robots, A.I., and Asimov’s Three Laws of Robotics, which above all is about the protection of humans. 2001: A Space Odyssey famously featured the not-so-friendly HAL, and recent movies such as The Matrix and Moon both star some nasty A.I.s. In gaming history, GLaDOS and SHODAN are two of the medium’s most popular villains. So it was only a matter of time before Mass Effect featured a big bad A.I. story, and that arrives in Overlord. It was the first paid Mass Effect 2 DLC that didn’t include a new character or weapon, so at 560 MS Points ($7), the story would have to be well worth it. This isn’t Mass Effect’s first foray into evil A.I. with the Geth and Reapers featuring so prominent in the story along with the Rogue V.I. mission in the original, but this is its first take on the traditional human menace we all so know and love. I’m about two-thirds done with my insanity playthrough in Mass Effect 2. Insanity is the hardest difficulty in the game and beating it will also unlock my final main game achievement. The only other game I earned all the achievements on? The original Mass Effect. So on this run I’m also playing all the downloadable content I missed the first time through (mostly because it simply wasn’t available yet). So while I’ve reviewed Normandy Crash Site, Zaeed, and Kasumi add-ons earlier, I’m now venturing into Firewalker, Overlord, Shadow Broker, and Arrival territory. General reception of these has been a mixed bag, but I’m excited to form my own opinion. So as you can tell, Firewalker is first up. This was Mass Effect 2’s first foray back into vehicles. Mass Effect 1 heavily featured the Warthog-like Mako and built dozens of multiple square mile planets to land on and explore. The Mako was probably one of the weaker aspects of the game, but I found it pretty fun when we weren’t required to climb up 80 degree angles. I was pretty excited to try out the M-44 Hammerhead myself, let’s see how that turned out. The Firewalker Pack is free for members of the Cerberus Network, much like the character Zaeed and his loyalty mission. When Mass Effect 2 was announced for release on the PlayStation 3, there were a lot of questions about how it would work since Mass Effect 1 had only been released on the Xbox 360 and Windows. 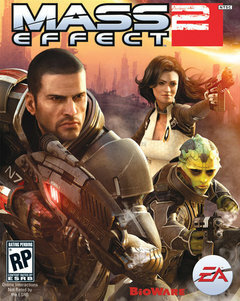 Not only was Mass Effect 2 the direct sequel to one of the most expansive narratives ever seen in a video game, but the game imported the first title’s saved games to keep the player’s choices intact throughout the series. How would the developers handle the complete lack of Mass Effect 1? The answer: Mass Effect: Genesis. For gamers that didn’t have a Mass Effect 1 save to import, BioWare had selected a set of “canon” choices to at least lay down the groundwork. The default choices generally meant that players would miss out on some interesting characters, including Wrex, a fan favorite. For Xbox 360 and Windows players, they could play 30+ hours of Mass Effect to generate their ideal saved game, but with Genesis, PS3 owners could play the 15 minute interactive comic and make a few key decisions. Yesterday, Mass Effect: Genesis was surprisingly made available on the Xbox 360 for 320 MS Points, here is my take on it. Like many, I was first introduced to the concept of farming simulation via an obscure Facebook title called Farmville. Not sure if that game flopped or not, but I didn't stick around too long to find out as the idea of caring for crops day in, day out did little to excite me. Sure, I like managing and being organized and earning faux money, but in the end, there wasn't really much to do with Farmville other than pester friends with countless requests and click on the same things over and over. After some time passed, I got the hankering again to water some crops and decided to give Rune Factory: A Fantasy Harvest Moon a try; unfortunately, despite being a farming simulator with bonus RPG dungeon-crawling elements, I still wasn't entertained. Scanning the shelves of my local GameStop recently, I noticed a bunch of other Harvest Moon games on the DS. Like, a ton. There were at least three sitting eye-level, staring me in the face, begging to be watered. And I got that itch again. I decided to give the most newest title a chance. 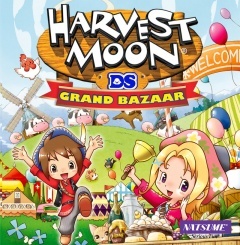 Let's see if Harvest Moon: Grand Bazaar is different enough to grow into something fun, something edible. Mass Effect began here, with its first novel, Mass Effect: Revelation. Released in mid-2007, a half-year before Mass Effect proper was unleashed on the Xbox 360 and Windows, Revelation was meant to not only start the hype for what would become BioWare’s flagship series but also begin laying down the structure of the series’ large universe. Authored by Mass Effect writer Drew Karpyshyn, Revelation follows the video game’s background hero Captain Anderson about 20 years before the events of the first game. We also meet a few of the series’ alien races along with the Citadel Council and first game villain, Saren. An Alliance scientist, Kahlee Sanders, is also introduced and she has served as the main link between the Mass Effect tie-in novels. 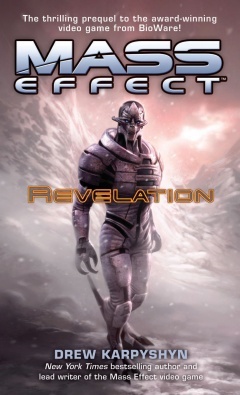 I first read Revelation when it was released in 2007, and have since read the second book, Mass Effect: Ascension, which I wrote a review on afterwards. Ascension takes place between the first two games and did an excellent job hinting at what was to come for Shepard and the gang in the second game. I recently received the first three novels (Retribution was released last year) as a gift so I decided to re-read Revelation and write a review on it, enjoy. I finished watching the first season of Archer a few weeks ago and loved it. The show is a perfect storm of black humor mixed with modern office politics and 60’s era spy agency spoofs. I laughed out loud like I was watching Arrested Development all over again. Unfortunately, I’m not writing about Archer as it really has nothing to do with video games. Instead, I’m here to tell you about Code Monkeys, a somewhat similar television show in that it shares the office politics and back-in-the-day setting. What it doesn’t share, however, is the humor. Running between 2007 and 2008 on the G4 network, Code Monkeys features just two seasons and 26 episodes. Created by Adam de la Peña, the show follows the goings-on of a game development studio in the early 80’s. The series is entirely available on Netflix Instant Watch where I watched the first two episodes. Platformers may be my favorite genre. Maybe I'm a product of the era I grew up in, when so many developers tried to beat Super Mario Bros. at its own game. Most failed, but that didn't stop me from enjoying the multitude of games that celebrated the uncomplicated joy of running and jumping skillfully across tricky terrain. That said, the move from sprites to polygons did not treat the platformer kindly. So many of the colorful characters that were born in two dimensions were simply confounded by a third axis. I can only think of a handful of 3D platformers I've really enjoyed, and almost all of them begin with the words "Super Mario." To be fair, my standards are very high, and my definition of "platformer" is quite narrow as well. And I've missed out on more than a few fondly-remembered 3D platformers, one of which is Rayman 2: The Great Escape. Originally released for the Nintendo 64 and Dreamcast, Rayman's first sequel (and first step into 3D) has become a cult classic of sorts. 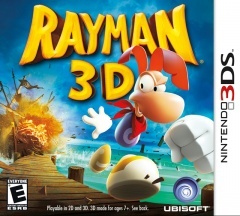 It's at least popular enough for Ubisoft to revive the game for the 3DS, just as it had seven years ago for the launch of the original Nintendo DS. Actually, according to Wikipedia, this game has been ported from the Nintendo 64 to Nintendo DS, Nintendo 3DS, PlayStation, PlayStation 2, Dreamcast, iPod Touch, and PC, in sum. So how does Rayman 2 hold up after ten years and two ports to a picky platforming purist like me? And do the 3DS' stereoscopic visuals add a significant difference to the experience, as Nintendo claimed they could? The supposedly final piece of Mass Effect 2 downloadable content was released recently, and while Arrival bridges the gap between Mass Effect 2 and 3, Zaeed - The Price of Revenge was available at release basically as an incentive not to rent the game or buy it used. Within Price of Revenge is the game's first downloadable character, Zaeed, a gritty mercenary who can pretty much be boiled down to as Wrex the Human - scars and all. We also get Zaeed's loyalty mission, a short little romp into the history of this rather bland character. Due to how EA set up Mass Effect 2's Cerberus Network, if you didn't buy the game new, you had to purchase separate access to the Network just to play this particular piece of downloadable content along with the Normandy Crash Site that I reviewed recently. I'm not sure if EA originally wanted every piece of DLC behind this paywall, but this is pretty much it for substantial content that the Cerberus Network required. That's a good thing. So here's another quick review of some content I've been meaning to cover for a while. It's my goal to completely cover Mass Effect 2 before number 3 is released in six months or so. Any time a creator of game technology sets a new standard, they want to show it off in a way that gets potential customers dreaming about what games they might be playing with it. The Final Fantasy VII tech demo for PS3 was meant to show off the graphical leap that Sony's Spiderman-fonted grill console could muster...and, of course, hype fans up for a remake that would never exist. Peter Molyneux's Milo was a proof of concept that Kinect could, theoretically, be an interaction simulator. With the game's cancellation, it looks like that will stay a theory for the time being. And who could forget Epic's "meat cube" demo for Unreal Engine 3, newly improved for Gears of War 2? And yet, here we are in 2011 with no cubes of messy meat to play with whatsoever. Sometimes, what starts as a tech demo eventually becomes a retail product. 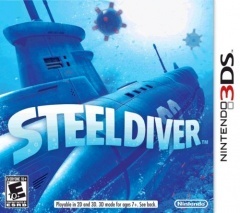 Such is the case with Steel Diver, possibly the only submarine video game I know of. What is now a 3DS launch title was originally meant to show off the brand new use of the touch screen as a controller...six years ago, for the original Nintendo DS. It seems Nintendo decided to take that aged tech demo, update its visuals for the new hardware, and profit. So here we are at the 3DS launch, with three first party retail titles from Nintendo. One appears to merely be a graphical update to the Nintendo DS' second best-selling game. Another seems to be made entirely of assets from Nintendo's ridiculously successful Wii Sports series. Could Steel Diver, a tech demo that was forgotten a generation ago, prove to be a niche hit lurking in the depths, or will it continue to torpedo into obscurity?